The hybrid is the best thing that could have happened to smartwatches. It bridges the gap for people who want a traditionally-styled watch, and also one that has smart functionality, while freeing the maker from the design constraints presented by the need to incorporate a touchscreen. 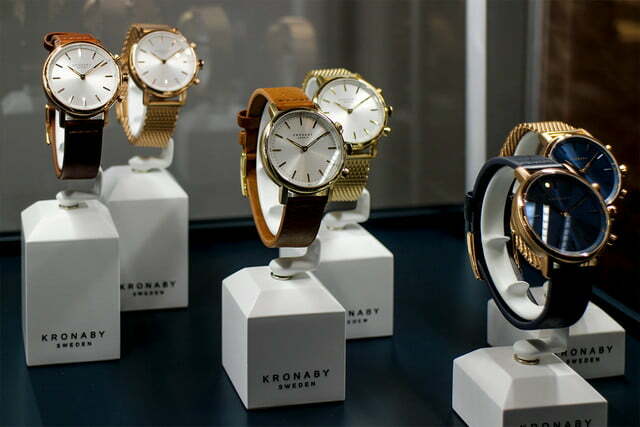 Kronaby, a newcomer to the industry that has been working on its watch since late 2015, has launched four hybrid watches that crucially incorporate the best materials used in traditional watchmaking, then combines the result with smart features controlled by a custom, easy-to-use app. Each Kronaby model has a stainless steel body, water resistance of 10 ATM, and sapphire crystal glass over the watch face. 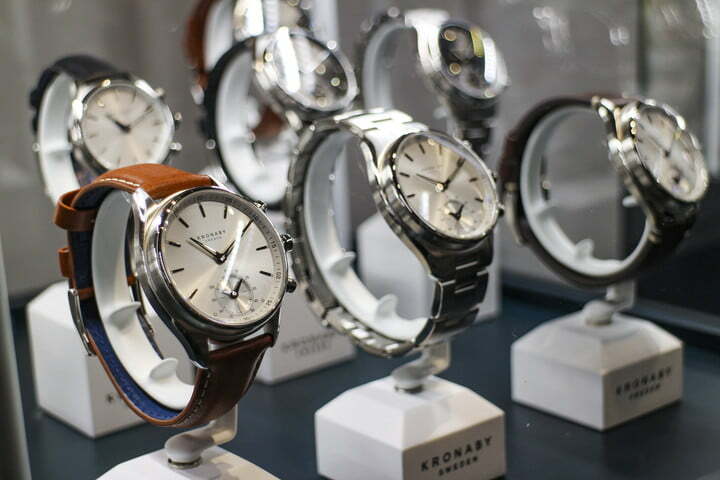 Each Kronaby model has a stainless steel body, water resistance of 10 atmospheres, and sapphire crystal glass over the watch face. 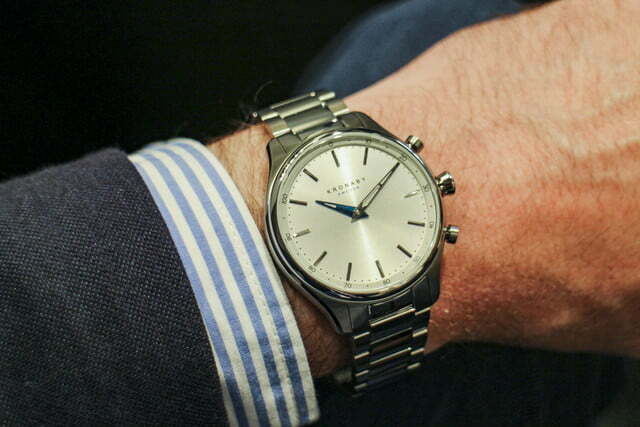 The last is probably the most important, and ensures the Kronaby watch looks and lasts like a premium traditional watch. Sapphire glass is scratch resistant and has a wonderful sheen to it, reflecting light in a very attractive way. 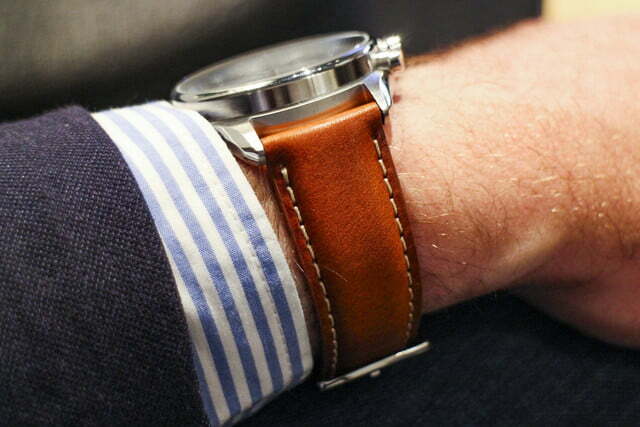 There’s a choice of metal bracelets or leather straps to complete the look. 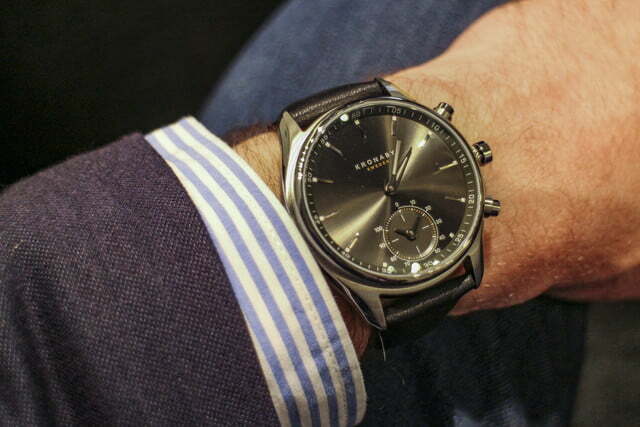 The sophisticated Sekel, Kronaby’s mid-range model, caught our eye. It features a polished stainless steel body with a black face that has been machined to catch the light beautifully, but it doesn’t have numbers around the face allowing for a great, clean look. The leather strap was comfortable straight out of the box. 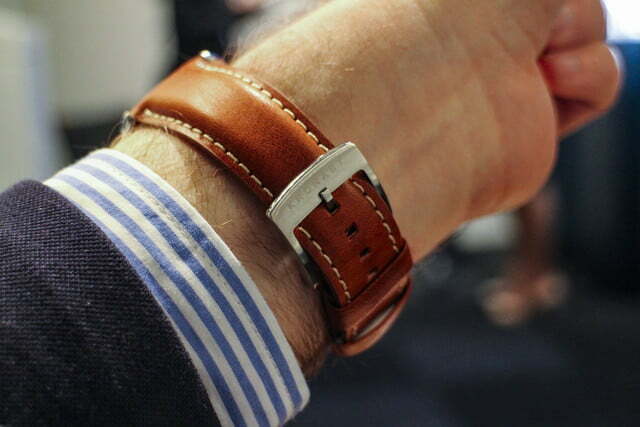 We tried on one that had been worn before, and the leather had softened up nicely, and easily wrapped around our wrist. For comparison, we also slipped on a metal bracelet, but it caught the hair on our arm instantly. We’d definitely opt for the leather here. Lightweight but still solid, the build quality felt exceptional across all the models we handled. The Kronaby Sekel was perfectly sized, but if some consider it too large, the cheaper Nord and Carat models are more suitable for smaller wrists. The most expensive Apex model is almost identical to the Sekel, but with a different face design. 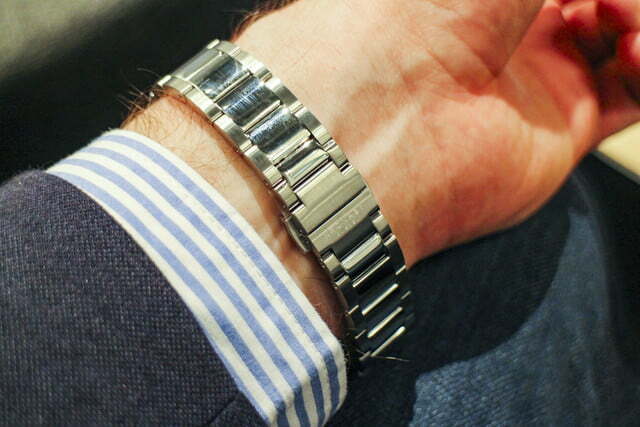 There are three buttons on the side of all Kronaby watches, and their functions are customizable through the app. Like the watches themselves, Kronaby has designed and produced the app in-house, with the intention of keeping it simple, usable, and upgradable in the future. It’s very easy to use — all customisable functions rely on a drag and drop interface, so it’s easy to alter the function of each button regularly. These include checking your step count, showing the date, controlling music, or taking a picture on your phone. 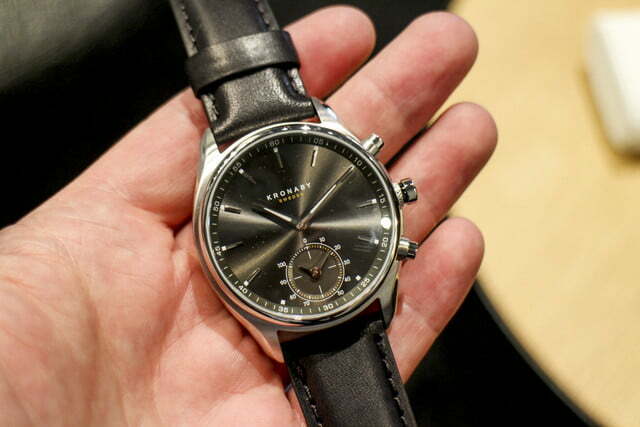 The experience was very similar to Fossil’s hybrid smartwatch app, and that’s not a bad thing at all. The watches track your steps and deliver notifications based on vibrations. This can be customized according to who you want to receive alerts from, so you know who is getting in contact without looking at your phone. The app works with Android and iOS, and Kronaby plans quarterly updates adding in new features, or tweaking existing ones. Sleep tracking, which isn’t included in the first release, is a possible addition in the future. But the emphasis is on simplicity, so don’t expect masses of new gestures or button press combinations to learn when new features do come. We used the app on two different phones, saw it in action on a third, and it remained stable throughout. It alerted us when the connected phone was out of range, and it took just a few seconds for new functions to be applied to a button. Apps can be the hardest part of any connected product, but the company founders worked in technology before starting Kronaby, which has paid off here. Kronaby’s dedication to getting the app experience right, and its commitment to using premium materials in the build, has translated into a relatively high price. At launch, our personal favorite Sekel model will cost 500 euros, or about $540. 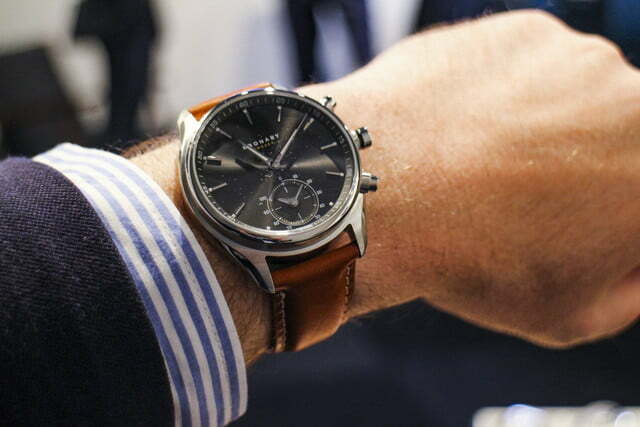 That’s substantially higher than hybrid watches from Fossil, including the $300 Emporio Armani model we reviewed recently. The cheapest Kronaby is 400 euros, or about $430, and the most expensive is 600 euros, or $650. 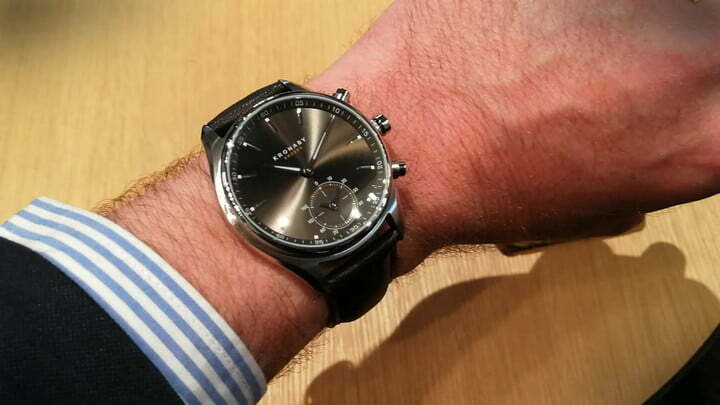 You’ll need to really love the design to pay out for a Kronaby watch. 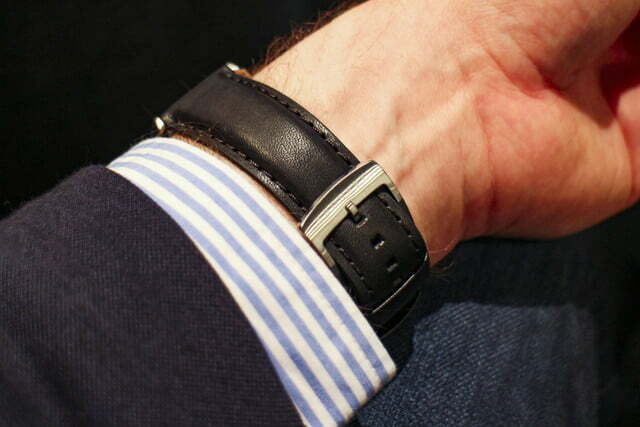 Thankfully, we’re happy to say that if you do, you’ll like the product when it’s on your wrist.